Every skier knows that their only as good as their gear. Skis and boots are the two most important gear choices to make, but your ski accessories are nearly as vital. Goggles, for example, that improve your vision clarity and field of view (especially when conditions are bad) are worth their weight in gold, and a high-quality helmet might literally save your life. 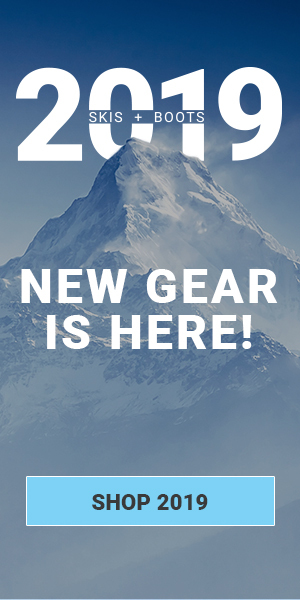 If you haven’t updated your accessories (goggles, helmet, ski bag, etc.) in a while, you may find that you’re missing out on features that would make your skiing experience substantially better, both on and off the mountain. It’s worth looking into modernizing your setup to squeeze every last ounce of joy out of that ski trip you’ve been waiting all year for. Want to make this ski season the best one yet? The following five accessories can make your days on the mountain more fun, more comfortable, more convenient, safer and all around more enjoyable. Clear vision is essential to skiing to your best abilities, and foggy goggles impairs your ability to see and ski your surroundings. The Abom One Goggles are designed to decimate fog and give you a crystal-clear view of the mountain. All it takes is one push of a button to activate Abom’s patented Klair Technology, which uses a transparent film that sits between a two-part Polycarbonate lens to regulate the temperature in order to eliminate fog. The One Goggles have two different fog-busting modes: Active Mode, which can run constantly for up to six hours of all-day fog prevention, and Boost Mode, which you can flip on at a moment’s notice when you notice your lenses start to get foggy. And with just a three-hours charging time, your Abom One Goggles can be fully-charged and ready to go in time for tomorrow. Traveling with your skis doesn’t have to be so stressful. The Thule Roundtrip Ski Roller Bag offers convenience, comfort and versatility from the moment you leave the house to the instant you check in at the resort. With easy-rolling wheels and multiple carrying options, the Round Trip makes lugging your skis through the airport no issue whatsoever. Able to carry two pairs of skis up to 192cm long, you can pack both your skis and a friend or family member’s skis conveniently in one bag, or just bring two pairs of your own to change things up based on the terrain or conditions. For safekeeping , the Round Trip Ski Roller Bag has both internal and external compression straps and a padded ski divider to keep all your gear in line. Time to face the music: your old, worn ski helmet just doesn’t offer the protection that it should. In our blog “How to Tell if You Need a New Ski Helmet”, we cover how even a single crash can render a helmet ineffective afterwards, and that helmets generally need to be replaced every 5 years. If this sounds like it applies to your helmet, then take a look at the Giro Jackson MIPS Helmet. Featuring the Multi-Directional Impact Protection System (MIPS), the Jackson offers the best in modern-day helmet tech. This revolutionary design uses a low-friction inner liner that rotates independently upon impact as a means of redistributing energy throughout the helmet and not passing it on to your head. Just as important as the helmet design itself is how it fits on your head. Luckily, the Jackson MIPS Helmet uses Giro’s In-Form 2 Fit System to offer a perfectly-customized fit, allowing you up to 6cm of adjustment to find your max amount of comfort and stability. The results are in, and the final tally indicates that a whole 0% of skiers like cold feet while skiing. Luckily for the skiing masses, Hotronic’s Footwarmer S4 Custom can keep your feet the perfect temperature from the time you slip them on in the morning to the time you kick them off after apres. More powerful than ever before, the 2019 version of the Footwarmer S4 Custom’s rechargeable battery packs can keep your feet warm for eighteen hours when used on the lowest setting. A little known advantage to using boot heaters: warmer feet beget better balance, meaning by using the Hotronic Footwarmer S4 Custom you can improve not only your comfort levels but also your skiing performance. Different conditions require different lenses, and if you want to be able to keep up with the changing weather, the Smith I/O Mag Goggles are the best available tool. The I/O Mag’s streamlined rimless design makes switching out lenses easier than ever. It works like this: eight magnetic contact points and two locking mechanisms (one on each side) hold your lens firmly in place while you ride. Once conditions change and you want to swap out lenses, all you need to do is open up one of the levers and the lens will pop right off. To put the new lens in, just snap it on with the magnetic contact points and just like that you’re ready to ride again, all doable in just seconds. The I/O Mag is ultra-convenient, but it also uses the finest in lens technology to improve your clarity and view of your surroundings. The Chromapop lenses offer crystal-clear views and definition, and the Spherical Carbonic X-Lens provides the best field of view possible.